Do you have a special bottle of wine that deserves to be savored throughout the week? Are you the only wine enthusiast in your household, and rarely finish an entire bottle? Is there wine that you are saving for a special evening, but you can’t wait much longer and want to try a glass now? Pull it out of the wine cellar, because with these tools, there is no need to worry. The easiest and most cost efficient way to keep wine fresh is with a quick spritz of Private Preserve, which is a mix of argon, carbon dioxide and nitrogen. 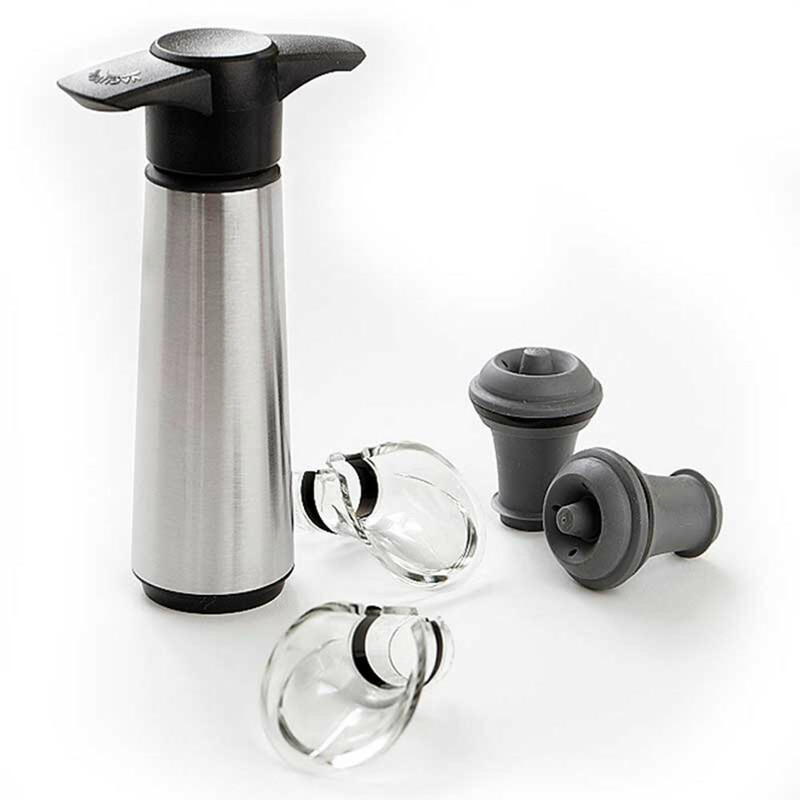 When done with your wine for the evening, spray it inside the bottle, and quickly insert a stopper, such as IWA Silicone Bottle Stoppers to keep it inert. Not ready to make the commitment of actually opening the bottle? 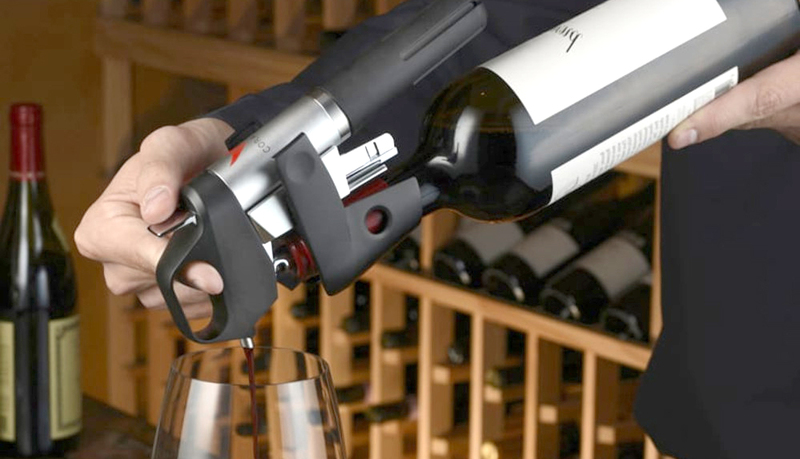 Coravin uses a narrow, medical-grade needle to penetrate the cork and draw up wine without damaging its seal. Pour a glass and put the bottle back in your cellar for later use. After opening a bottle, insert the faucet, which is connected to a nitrogen canister. 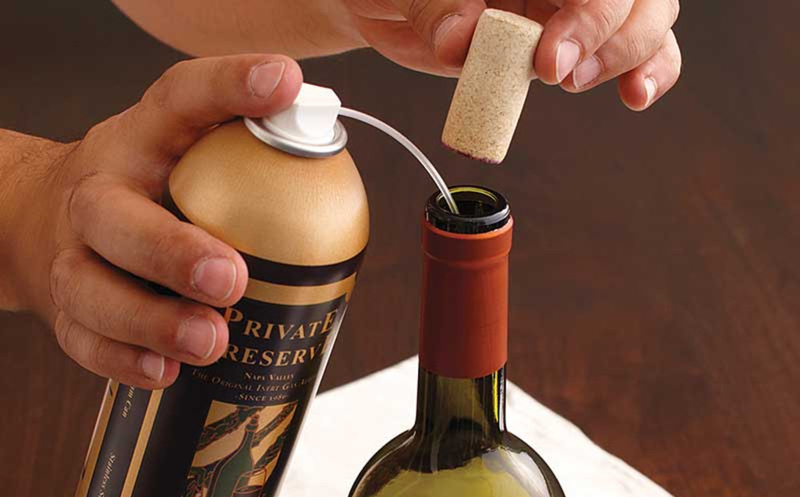 It continually protects the wine while allowing for smooth pours. 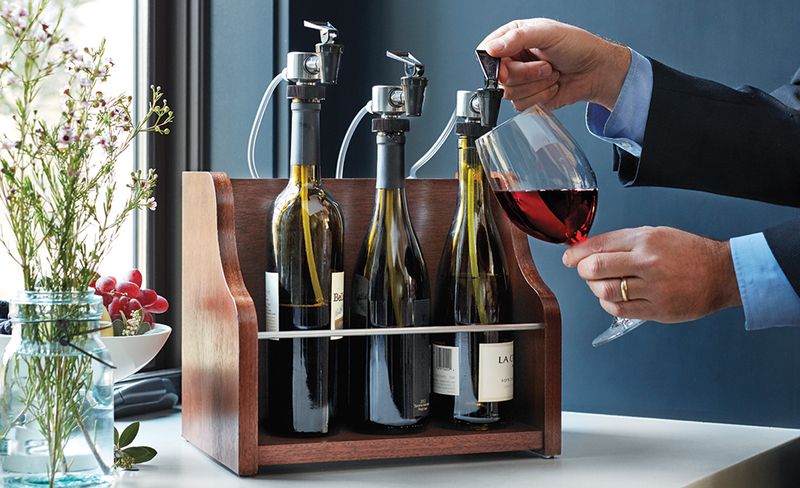 The Basic Keeper uses the same technology that you can find at restaurants and wine tasting rooms, right in your home. 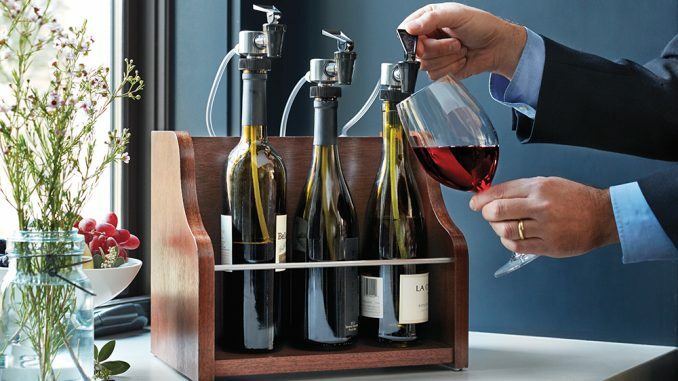 Do you drink a lot of wine, and have multiple bottles open simultaneously? The Vintner has you covered, with up to three bottles comfortably set in a display case that also hides the nitrogen canister. It is available in a variety of finishes, or for use with argon gas instead of nitrogen. Not ready for a sophisticated gas system? 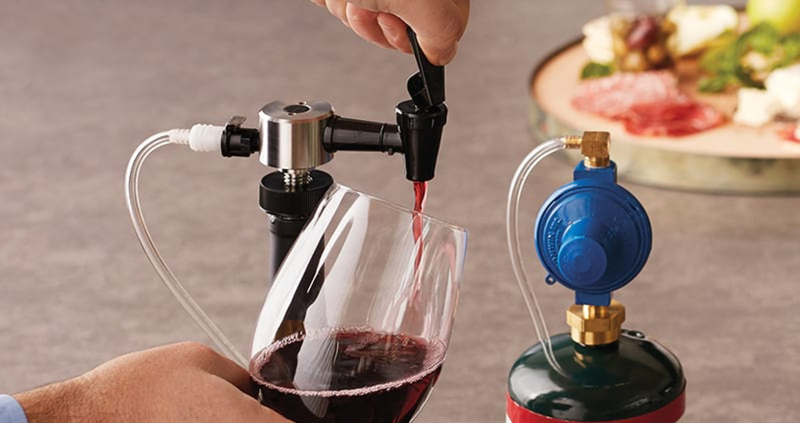 For casual drinkers, try a wine pump. Set in the bottle and give a few strokes to remove the air before adding one of the included stoppers. It will preserve the flavor by eliminating oxygen from the bottle while it is waiting to be used. This is a terrific piece of information. I am relatively new to the world of (serious) wine drinking, and I’ve been shopping for preservation items. This helps me to narrow my search!